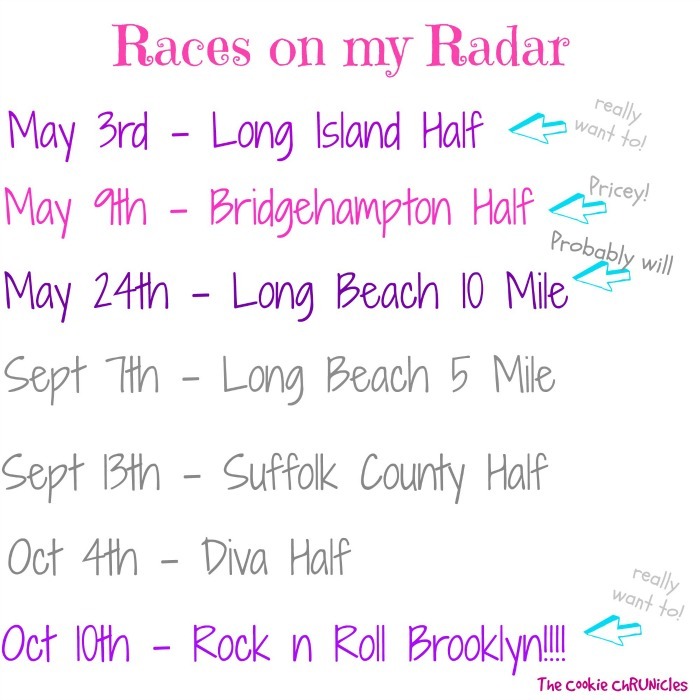 A while back I shared a list of races on my radar for the spring, summer and fall. The Long Beach 10 miler is this Sunday and I have yet to register. I have been waiting to confirm the weather conditions and really, to decide if running in the sunny beach heat is something I truly want to do. It takes time for me to adjust to running in the warmer weather. It’s like we suddenly go from bundling up in layers to figuring out how the heck to run our way through the thick humid air. The Long Island Half Marathon a few weeks ago was really my first warm and sticky run of the season. Since then, I have been allowing myself to adjust slowly to the climate rather than expect my body to jump right in like no big deal. It’s a known thing that running in the warm weather affects your running. Your pace slows, your body has to figure out how to regulate its core temp, your breathing may be altered and hydration becomes even more critical which means how you prepare for warm weather running can make or break you. 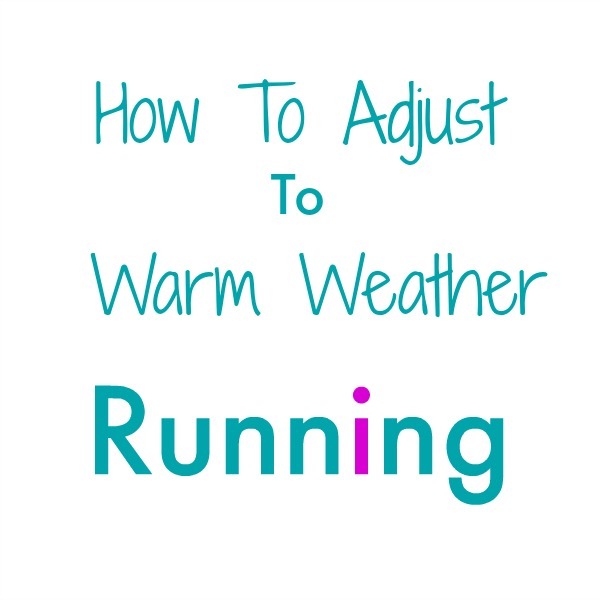 Without reciting statistics, medical journal jargon or paraphrasing someone else’s experiences, I thought I would share how I go about adjusting to warm weather running. This almost sounds counter-intuitive but it’s really important! Just because it is warm outside does not mean you jump right into your run as if your body is fully ready to hit your desired pace. I give myself at least a mile and sometimes many more than that to adjust to the movement of the run as well as give my body a chance to become acclimated to the weather conditions around me. 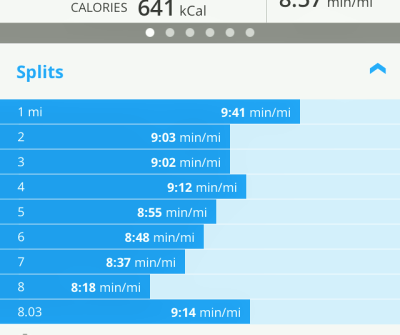 I try extra hard during warm/humid runs to keep my pace where I am comfortable. Pushing myself in the heat, especially too quickly will only backfire on me. I remind myself that running in the warm weather takes more effort than running in the cool, crisp air. Once I am in a groove, if I feel as though I can push, I push. This requires discipline especially if you are training for a race because you want to hit those paces during speed work and tempo runs but I tell myself over and over that I would rather feel well than push too hard and find myself on the ground because I passed out from heat exhaustion. We need to hydrate all year long but especially when the temperature rises. I make sure to drink extra water this time of year as well as fill up on hydrating fruits like watermelon, cantaloupe and pineapple. Cucumbers are awesome too! I don’t run with water but I do leave a bottle outside for myself especially on days where I run long or it’s extra hot. Sometimes I mix orange juice and a drop of salt in with the water to balance the electrolytes. I have also learned the importance of those water stops during warm weather races. I will never skip one in the beginning of a warm weather race again. I didn’t think I needed water at mile 2 of the Long Island Half but I most certainly did and I do believe skipping that water stop affected me through the duration of the race. Run early or late in the day when it is cooler <- I always run early but will sometimes head out even earlier if it’s extra hot outside. Dress the part <- light clothing made with sweat wicking material. And a sun visor is a life saver! Remember the treadmill <- I feel like we associate the treadmill will our last resort winter running option. That’s not the case! My plan for this summer is to utilize that treadmill on days where it is super extra hot and humid so that I can get a good run in without dying. Runner’s World devotes an entire section to hot weather running. Click here for the link. I need a new water bottle. Which one are you currently loving? Do you run early in the day or late in the day when it’s super hot outside? Do you use the treadmill during the summer? I go first thing in the morning but it can still be so hot and humid. I try not to worry at all about pace. Its hard to see my easy pace creep closer to a 10 minute mile but I have to remind myself that is part of the process of adjusting. Plus it just makes me run faster come the fall! I hate the fact that I am going to have to adjust to warm weather, running, and early morning workouts all at the same time! Damn you injury! I go running before work most days (5:30) and it’s already super humid but not very warm. To get acclimated faster, I’ve been trying to run after work a few days a week when it’s the hottest. It’s definitely a struggle and I’m slowly getting used to it! It takes me a while to adjust to the humidity and heat and I never get totally used to it. Then again it winds up being the same with the cold. Love those 3 weeks per year we get great running weather! Of course I’ve been on my break for one of those weeks! I think I’, going to have to run Thurs morning just to get one more cool day in. I’m starting to think about races too. Aside from the NY marathon I’m signed up for nothing. I refuse to use the treadmill during the summer. Mainly because if I get up early enough (read 530) I can be running when it’s still cool but light out! I am a morning runner 90% of the time so usually I can beat the humidity. But I always struggle with post-work run clubs or speed work in the summer. I actually love the badassness of running in the heat. I love pushing myself and getting uncomfortable, sweating like a mad woman and feeling the sun beat down on my back like I’m some sort of ultramarathoner slugging it out through the desert. I’m also quirky (read: weird). And I’d WAY rather run in heat than in cold temps. I HATE being cold. My treadmill is in the garage so while it’s in shade, it’s actually hotter on the treadmill than outside. I like the treadmill for hill/sprint intervals, but I love running outside! I know! Running outside is my favorite! When I run, I’m always conflicted whether or. Not i should bring a water bottle. I hate the extra weight! I know, I hate carrying a bottle too. It’s funny, it took me about a week to adjust to the warmer temperatures and now my paces are almost a minute faster than I’m guessing they were a few months ago. I seem to really thrive when it’s hot and humid. Crazy. But it does take some getting used to. And a LOT of water! Definitely takes time to get used to. By mid-June I am usually ok but that’s still a month away!